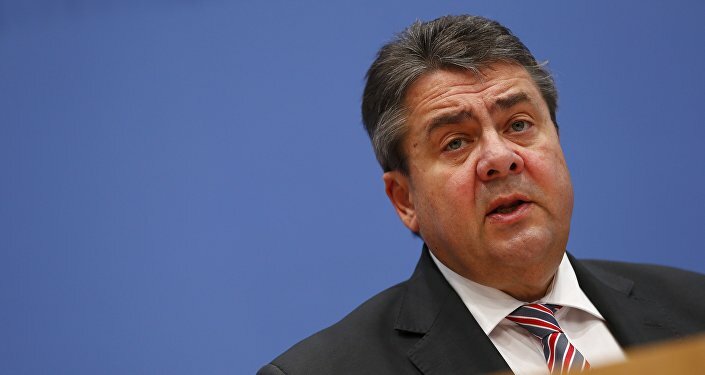 New German Foreign Minister Sigmar Gabriel is likely to continue his predecessor's more moderate policy towards Russia, which contrasted with Chancellor Merkel's hardline support for the Obama administration's sanctions. On Friday German President Joachim Gauck named former Minister for Economic Affairs Sigmar Gabriel as Germany's Minister for Foreign Affairs, and relieved former Foreign Minister Frank-Walter Steinmeier of his responsibilities before he plans to take up the post of Federal President. Steinmeier has a mixed record in his relations with Russia. On February 21 2014 along with French and Polish foreign ministers he brokered an agreement between Ukrainian President Victor Yanukovych and opposition leaders who threatened to topple the elected president. The agreement promised constitutional reform and early presidential elections, but despite the concessions and the Foreign Ministers' position as supposed guarantors of the agreement, the Ukrainian president was forced to flee the country in fear for his life just hours after it was signed. Despite his support for the Euromaidan coup d'etat, Steinmeier has rejected the prospect of EU or NATO membership for Ukraine. When the Ukrainian leadership declared their intention to seek NATO membership in November 2014, Steinmeier opposed the move. "I see a partnership relationship between Ukraine and NATO, but not membership," he told Der Spiegel. "There is little point in speculating about Ukraine's (possible) membership of the EU in the near future," he said, calling the idea "a generational project" that would require deep reform. Steinmeier has also called for the gradual lifting of sanctions against Russia, and warned NATO against holding provocative war games along the Russian border. "What we should not do now is inflame the situation with loud saber-rattling and war cries," he told the German newspaper Bild am Sonntag before the Anaconda 16 drills in Poland in July. 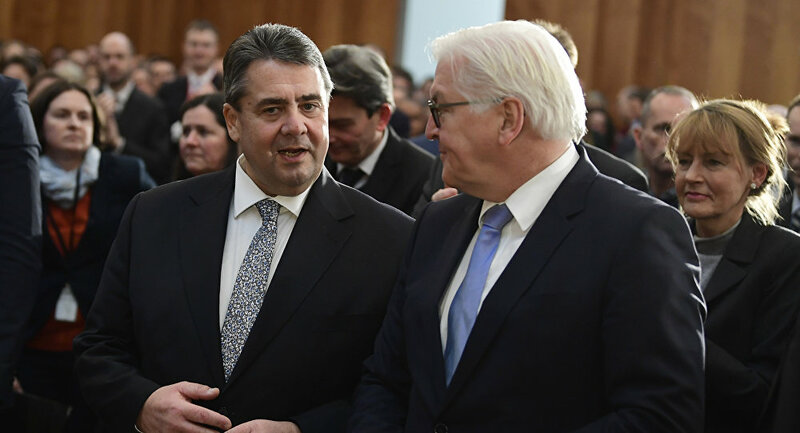 His successor, Sigmar Gabriel, has echoed similar opinions to Steinmeier's regarding the gradual lifting of sanctions, and the necessity of dialogue with Russia. In September he visited Moscow at the head of a German business delegation which seeks to re-establish economic ties with Russia. "Isolation and confrontation are not sensible policy and don't offer anything," Gabriel said prior to his visit. Vladislav Belov, director of the Center for Germanic Studies at the Russian Academy of Sciences' Institute of Europe, told RT Russian that Gabriel is likely to pursue a policy towards Russia similar to that of Steinmeier. "Under Gabriel, Germany's foreign policy will be the same as under Steinmeier. He is getting an excellent diplomatic apparatus that Steinmeier strengthened a lot after his predecessor. A foreign policy audit was carried out, personnel were reinforced and a White Paper adopted," Belov explained. 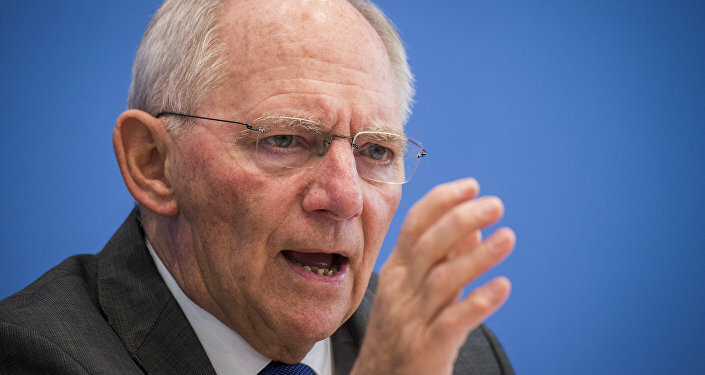 The Chief Editor of the Germany news website World Economy Alexander Sosnowski said that Steinmeier and Gabriel are both from a generation of SDP politicians who have a more reasonable approach to Russian relations than their counterparts in Merkel's CDU. Steinmeier, Gabriel and former Chancellor Gerhard Schroeder are the political descendants of SDP politician and giant of German diplomacy Egon Bahr, who was instrumental in the "Ostpolitik" that improved relations between West Germany and the Soviet Union, beginning in 1969 with the administration of West German Chancellor Willy Brandt. "In recent years both Steinmeier and Gabriel won back a section of voters due to the fact that the Christian Democrats, led by 'Mother Merkel' as she is called here, pursue very counterproductive politics toward Russia. Steinmeier tried to help them and us," Sosnowski told the Russian newspaper Vzglyad. He thinks that Steinmeier's relative popularity in Germany has more to do with his personal qualities than his politics. "They remember him not as the leader of the Social Democrats, and not as a minister but as politician of the highest level who gave a kidney to his wife when she was ill. As a politician, he has not achieved anything special. He just tried to conduct a moderate policy toward Russia." Steinmeier left the Foreign Ministry in order to put himself forward as a candidate to succeed 76-year-old Gauck as German President, whose term of office ends in March and is not seeking re-election. Gabriel and Steinmeier are both members of the Social Democratic party (SPD), which has been part of a governing coalition with Angela Merkel's Christian Democratic Union (CDU) and the Bavarian Christian Social Union (CSU) since 2013. In November, Merkel backed Steinmeier's candidacy as the next president, making him odds-on to be selected by a federal committee on February 12. Since the conservatives have not put forward a rival candidate, Steinmeier will face competition from Die Linke, Alternative for Germany and Freie Wahler. "At a time when there is unrest and instability around the world, sending a signal of stability — and so the conservatives supporting Steinmeier's candidacy — is in my view right and important," Merkel said.